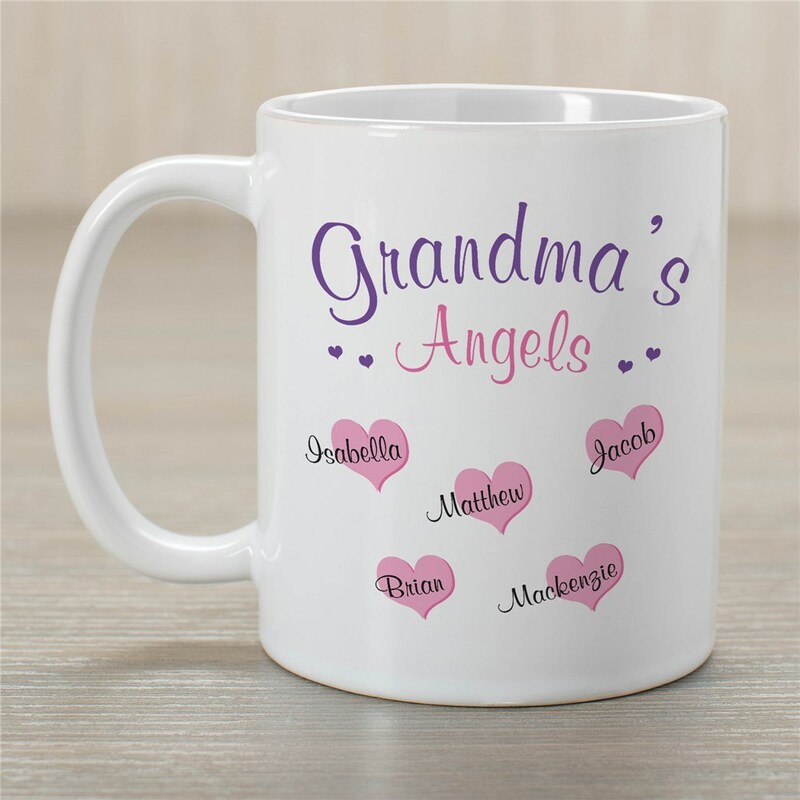 Our Personalized Angels Coffee Mug is a fabulous Personalized Gift for Mom, Grandma, Nana or Granny. Every sip from her Personalized Coffee Mug will be enjoyed forever. Mom and Grandma Gifts like this Angels Coffee Mug is dishwasher safe & includes FREE Personalization. Personalize your Angels Coffee Mug choice with up to 30 names and any title. Mugs are available in different sizes ranging from 11 ounces to 20 ounces.